Energa is designed to have elegant, clean design and to be simple for use. 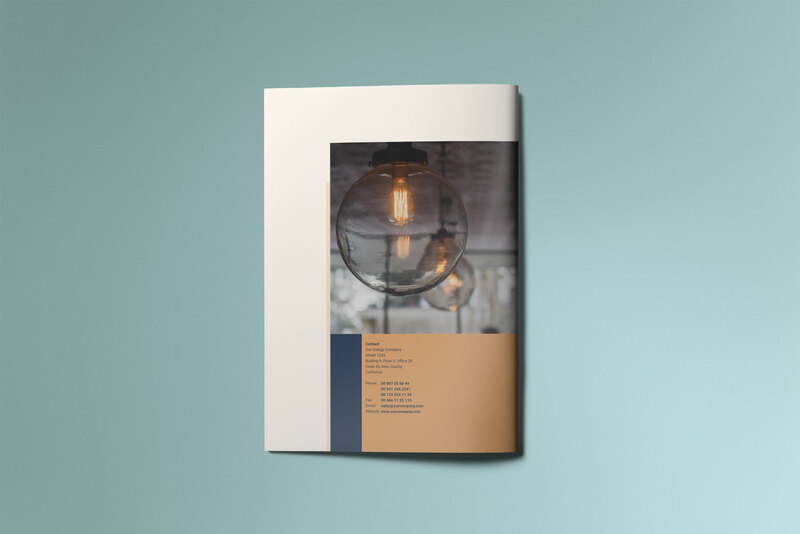 This A4 brochure template have four pages. 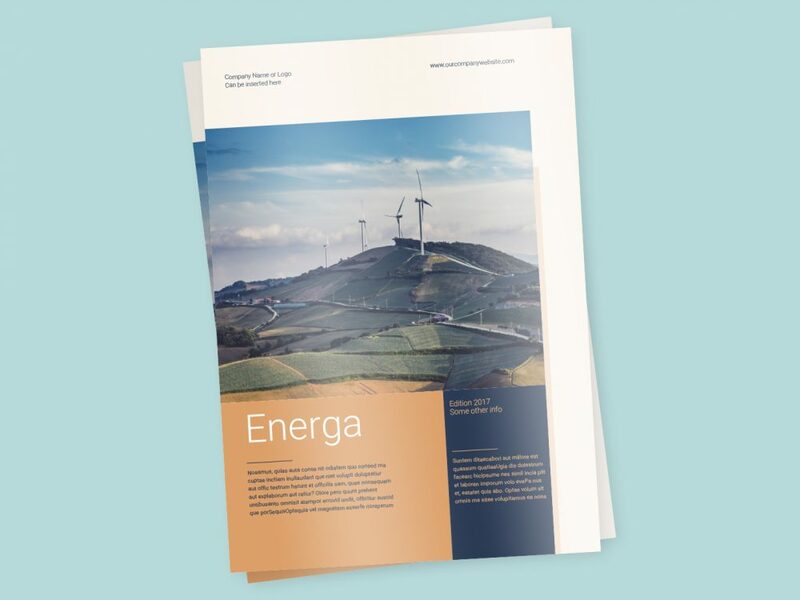 As our other templates, Energa is professionally created with all paragraph styles and color swatches named and organized. 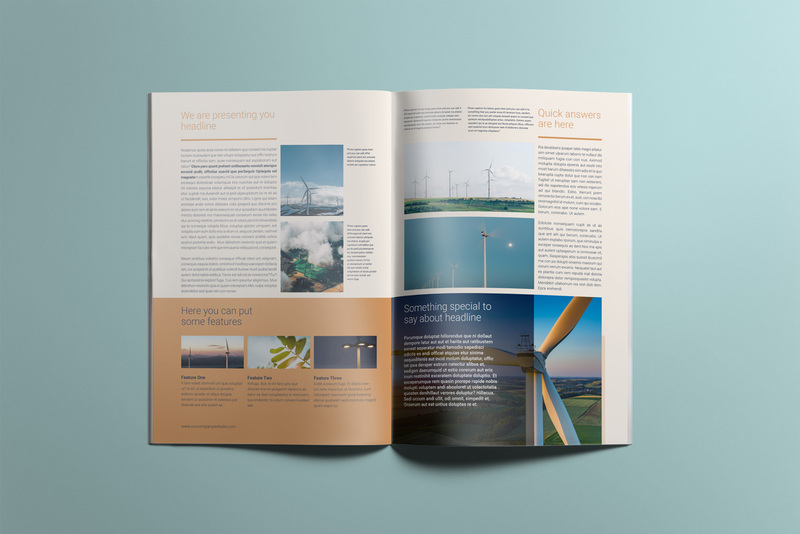 For this brochure template we added layer of grids that can help you better layout your text and images. With this little addition you can easily extend number of pages and go beyond included four. In case that you want to implement your own colors, just edit color swatches named Dark brand color and Light brand color. After those changes file will automatically update all elements containing those colors. Background color is 10% of Light brand color and you can edit it on Master pages of template. Select rectangular shape objects and change percentage of color or assign different color to or delete them to have no background color in brochure. As always in our templates, we used free font Roboto for text elements, both body text and headings. You can use our choice for brochure font but you can also use your own fonts. Just edit paragraph styles in Paragraph styles panel and text elements will use new font. Images used are just for preview display and they are not included in A4 brochure template package. You will need to use your own images and photos. In template file we placed temporary asset – PLACEHOLDER-IMAGE.png that you can easily replace. To change image in Adobe InDesign press Cmnd + D (on Mac) or Ctrl + D (on Windows), browse your computer and select image that you want to use. Template is created with Adobe InDesign CC and works with CS4+ versions of InDesign. In case that you have older version of InDesign (CS4 – CS6) open *.idml file from package. 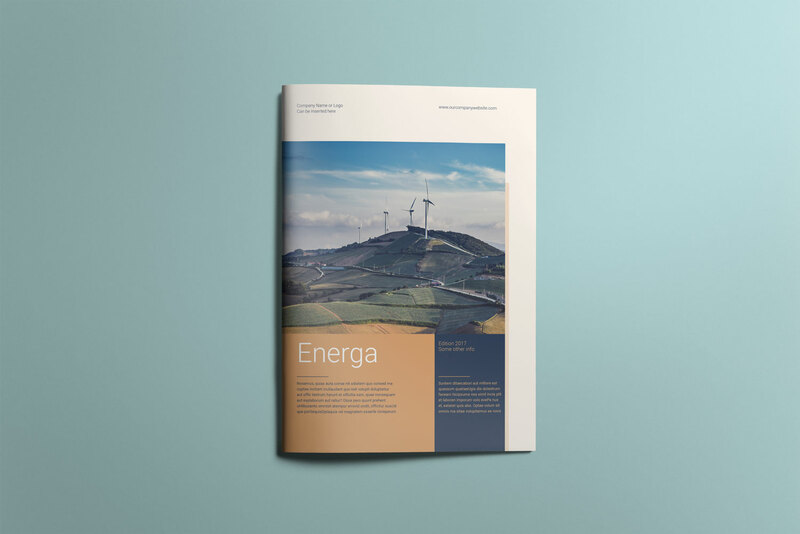 For who is this A4 brochure template? Well, at first look this template is perfect for presentation of projects (current or future ones), products and services overview or architecture showcase.